After a meeting at the site of the Western Snowy Plover roost on Santa Monica’s north beach, City officials agreed today in principal to try to erect the protective and educational fencing for the birds in July rather than in September or October. This represents major progress in the protection of those little birds who usually arrive on “our” shores in mid-July and stay until late April most years. The observed number of birds in the flock has grown over the 13 seasons we have monitored this area near the Annenberg Community Beach House along Santa Monica’s Gold Coast. In the first survey, coordinated by our own Chuck Almdale in 2001, I was elated to find two plovers. Since then, because of the protection afforded by the City’s fencing and the greater proliferation of the species at Central California breeding beaches, we have observed up to 56 birds in a typically loose flock at or near the enclosure. 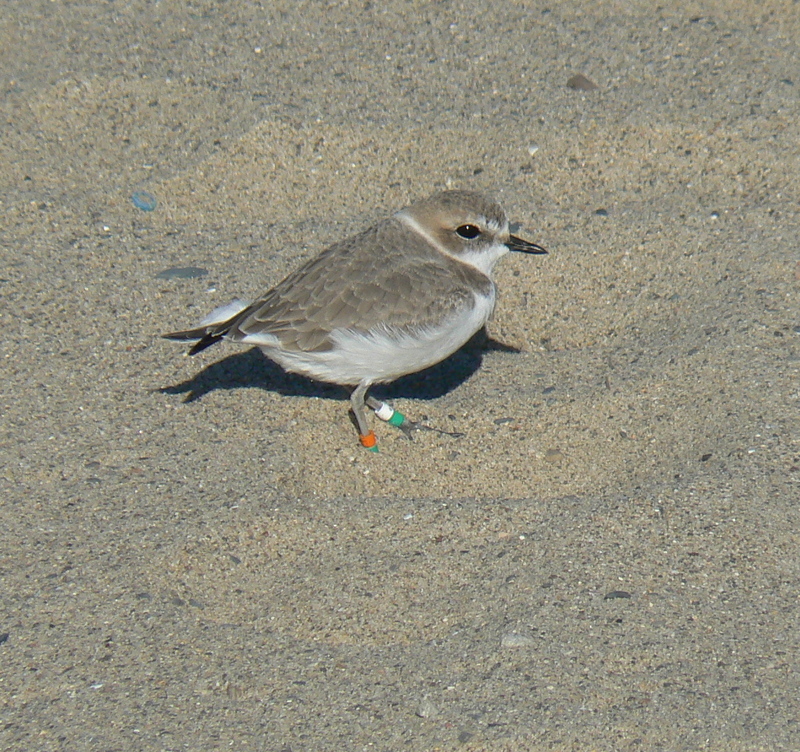 The plovers are spending 39 to 44 weeks on these local L.A. County beaches. The coastal population of the species is around 10,000 birds and it is listed as “threatened” under the Endangered Species Act. Even though the plovers have not bred on an L.A. County beach for nearly 60 years, they spend up to 84% of their lives here. Researchers have started turning their attention to the survival of the birds in their “wintering” habitat. 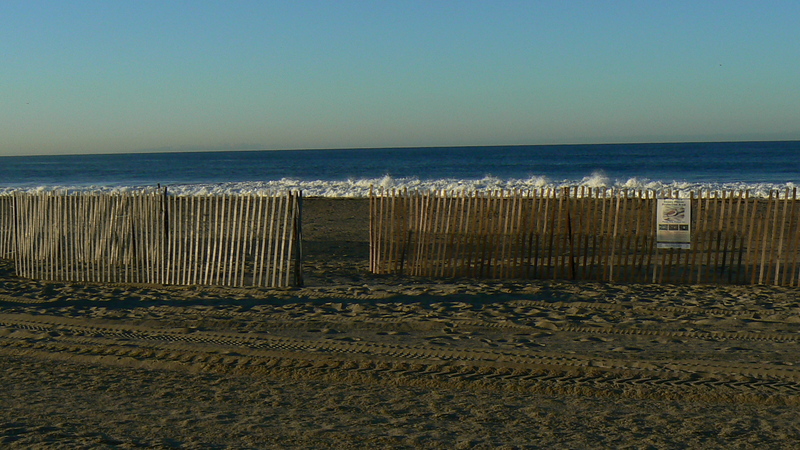 Erection of the snow fencing on Santa Monica Beach at the time of their arrival, when they have lost considerable weight in migration, should result in reduced human harassment, healthier birds, and we hope, a higher over-wintering survival rate. Our thanks to the City of Santa Monica will take the form of an SMBAS subsidy for fencing material for the next ten years. If you wish to contribute to the effort, please send your check payable to SMBAS to our P.O. Box with the mention “plovers”.